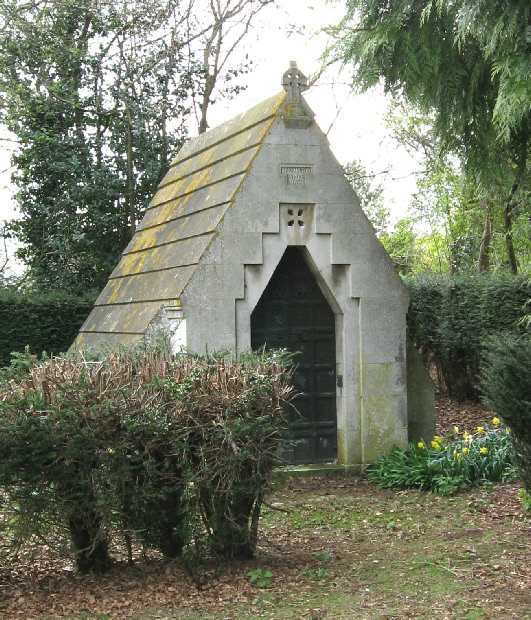 Tucked away in a corner of St Martin’s graveyard is a mausoleum. It bears the inscription, ‘Barrington White 1906’. 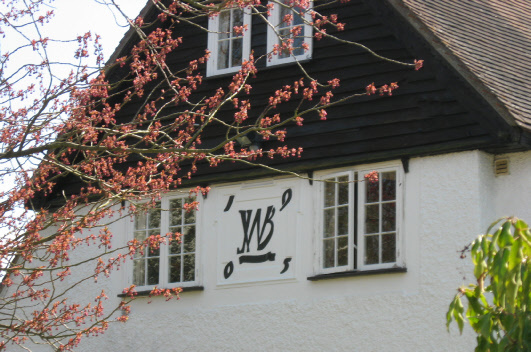 The more keen-eyed of Preston residents may have noticed another reference to this family as the initials ‘JBW’ are embossed on a local house. Who were the Barrington-Whites and what was their association with Preston? James held several prestigious posts in Armagh including being a member of the Committee of National Association of British and Irish Millers. In March 1896, he sold his property at 15 Wellington Park, Belfast and moved to England where he was appointed Lieutenant of the Hertfordshire Cavalry in 1897 – a commission which he resigned in 1899. 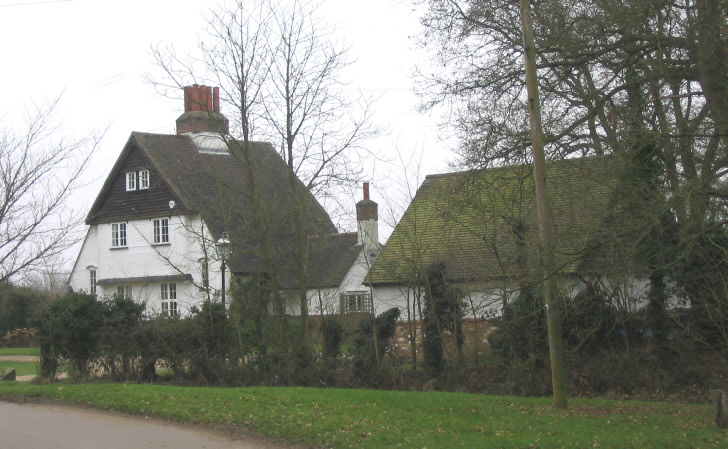 In January 1898, James and Mary were living at Roxley Court, Willian, Herts (a village near Hitchin). 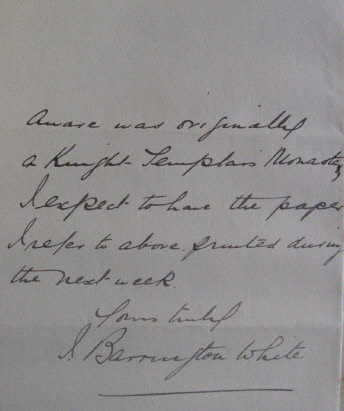 He then returned to Northern Ireland as he was appointed as the High Sheriff of Armagh. This meant that James was the English sovereign’s judicial (as opposed to personal) representative, being responsible for law and order. He was also appointed to the Commission of Peace for Armagh. Among the police constables who lived there were John George Hart (1909), Cumberland (1910), Albert and Lilian Shambrook (1911). In the adjoining cottage lived John Mission (1909-11), and Ernest and Ethel Payne (1915). 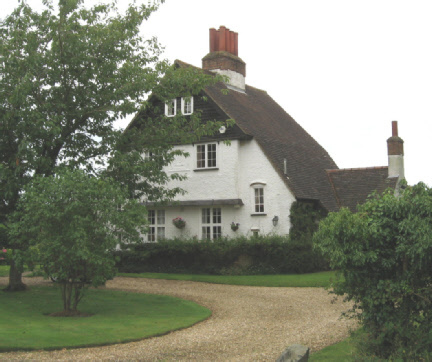 Later, the two cottages were amalgamated and the resulting home is known today as Crunnells Green Cottage. 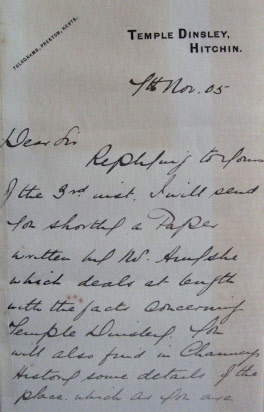 As his letter reproduced below shows, James was well aware of the history of Temple Dinsley. In 1906, James had the mausoleum built at St Martin’s with its copper door and Celtic cross – an echo of his Irish origins. Mary, his wife, presented a litany desk to St Martin’s Church in February 1907. She was also a Preston school manager. The Barrington-Whites lived in Preston for seven years until they sold all of their property to HG Fenwick in August 1908. At the time they were living in Mark Street, London. James was remembered in the village for his kindness as he presented local families with a joint of beef at Christmas-time very year. Mary Barrington-White died on 30 May 1914 at 15 Princes-gate, London and was interred at St Martin’s at 11.00 am on Tuesday, 2 June. James died twenty-one years later, aged seventy-nine and was also interred behind the copper doors of the mausoleum at Preston on 21 February 1935. That he chose Preston to be his final resting ground is a measure of the regard that James had for the village. 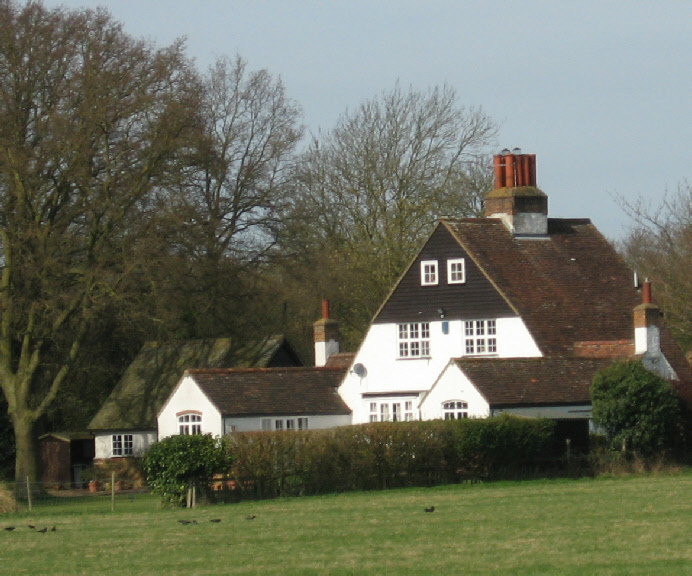 By 1901, James was back in Hertfordshire for he bought the Temple Dinsley mansion, The Cottage, Temple Farm (with associated land) and two cottages at Preston Green. With this acquisition, he became Lord of the Manor of Temple Dinsley. He also purchased part of Wain Wood. Four years later, in 1905, he ordered the building of two semi-detached estate houses on the south side of Crunnells Green. It is these which bear the inscription ‘JBW 1905’. Perhaps reflecting his earlier judicial appointments, one of the houses (nearest Temple Dinsley) was for the village constable and had a lock-up in an attached outhouse. The houses were built with red bricks in a stretcher bond and roughcast above together with a dark weather-boarded triangle at the front gable. Each house had a sitting room, kitchen, scullery, two bedrooms and a barn.